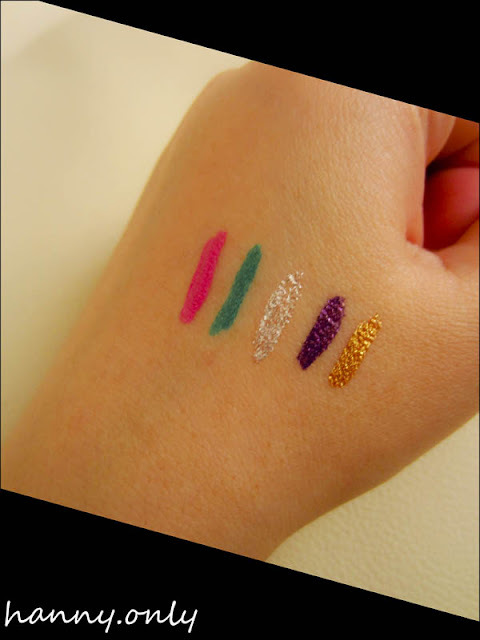 hanny.only: PAC Liquid Eyeliner Color -- Rub and Waterproof Test..
PAC Liquid Eyeliner Color -- Rub and Waterproof Test..
wohooo.. another excitement is hereee..
PAC liquid eyeliner color.. yeayy.. it has same quality as international brand and yet, this is a Local Brand.. ahhh, so proud!! 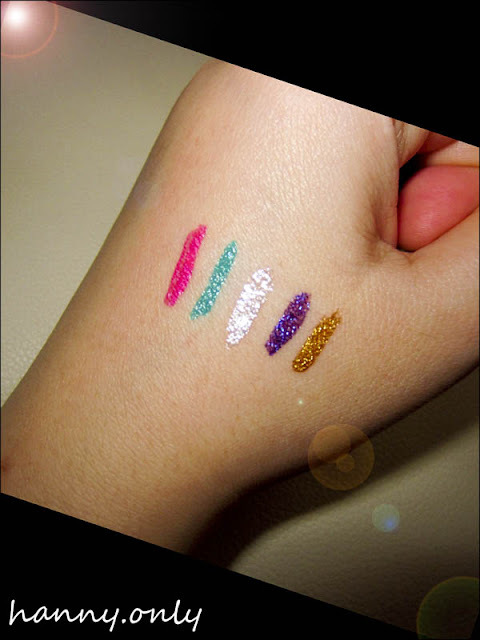 i wanna share to you how awesome this PAC product is.. the colors are so vibrant and it's rub-proof and waterproof as well..
arghh.. the colors are greatt..
i want them all, pleaseee..
so, how about it?? excited yet?? 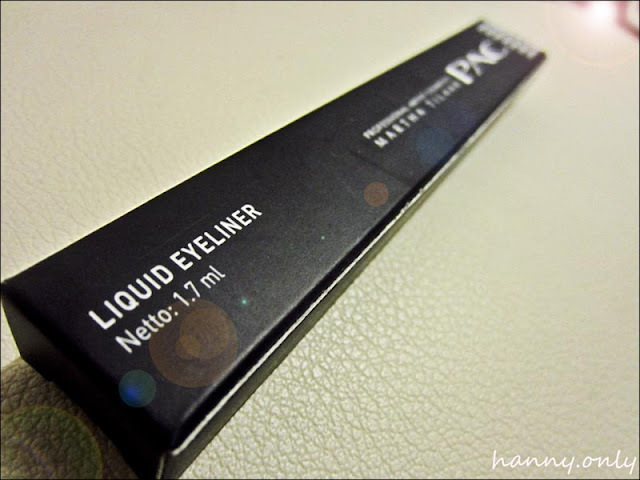 Heyy.. this is a great dupe for MUFE liquid liner! how much are they each? 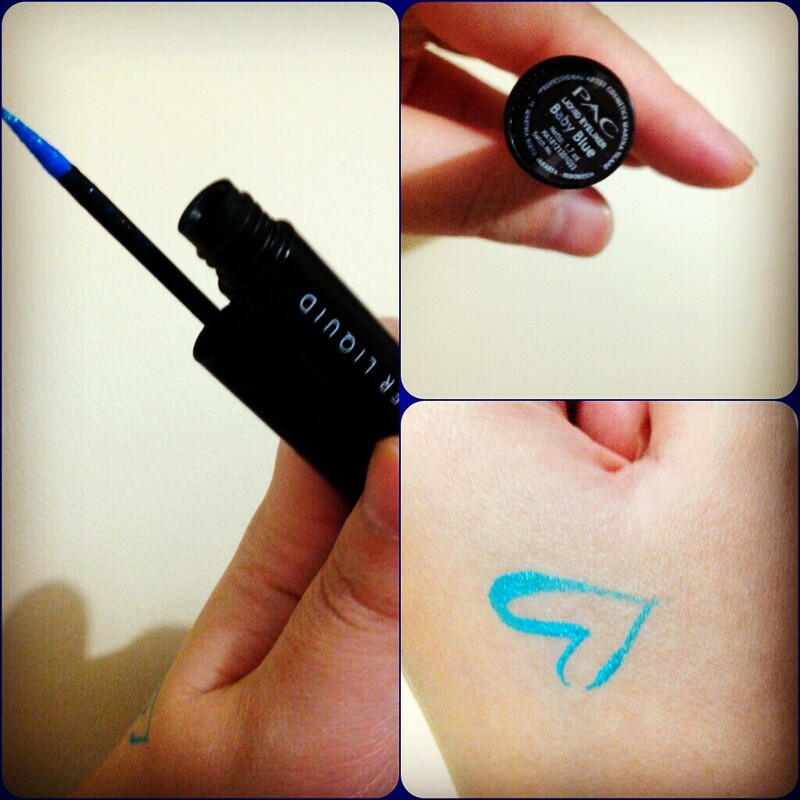 Iyaaa bgs bgt.. pengen punya smuaaaa.. hihi..